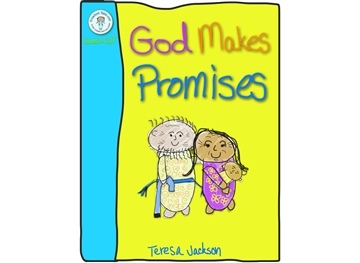 “God Makes Promises” tells the story of God calling Abraham to the land of Canaan, as well as the unlikely birth of Isaac to Abraham and Sarah. 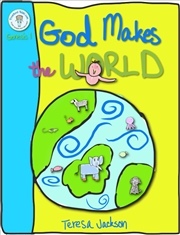 It asks questions to children about items that help them remember God, as well as whether they lie when they are afraid. 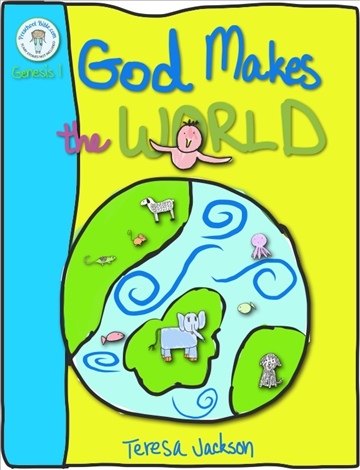 Preschool Bible is a series of Bible stories for children ages 3 to 5. It is trauma-informed and age-appropriate. As such, it does not contain violent stories or others that might reintroduce young children to trauma. That said, it is appropriate for all young children. I'm Teresa, a foster mom who found violent Bible stories inappropriate for my little ones. So I started writing Bible stories for my kiddos that don't include scary stories. They'll be plenty of time for complicated stories later, when they're old enough to think about them critically. For now, I want to start with love. And since I couldn't find a children's Bible out there that didn't include trauma-informed, age-appropriate stories, I thought I'd share them with anyone who might also like to have them.